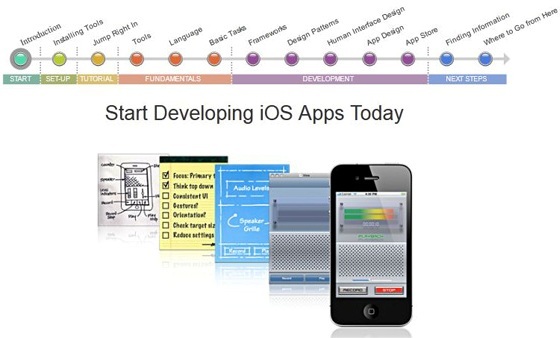 Apple has officially launched a guidebook titled ‘Start Developing iOS Apps Today’. Yes, it tells you exactly how to make iOS apps. It’s a thirteen step guidebook for people who wish to develop apps for the iOS platform. It basically has 13 slides which start with explaining you the tools required, then the interface layout considerations, how to debug, publish and get paid. The guide is pretty good and gives you an idea about how you can accomplish and create an iOS app. But don’t think that just going through the guidebook will turn you into a pro-app developer; a fair amount of coding knowledge is required. If you are on the verge of starting and planning to develop apps on iOS, then you should definitely give this a read. Check out the whole guidebook at Apple’s website over here.